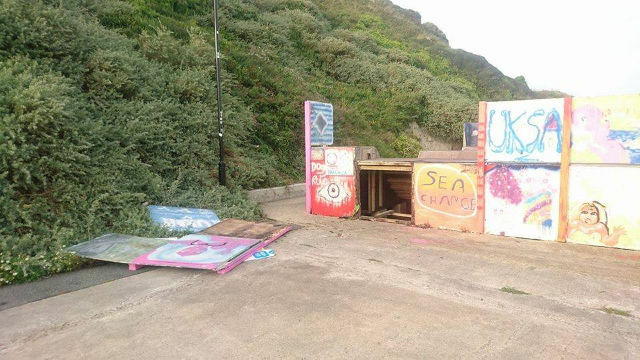 Of course it’s disappointing that vandals have damaged Ventnor’s skatepark (BTW – Can you help fix it up?) – but let’s not be disheartened – There’s some good news on the horizon for a much more secure future. 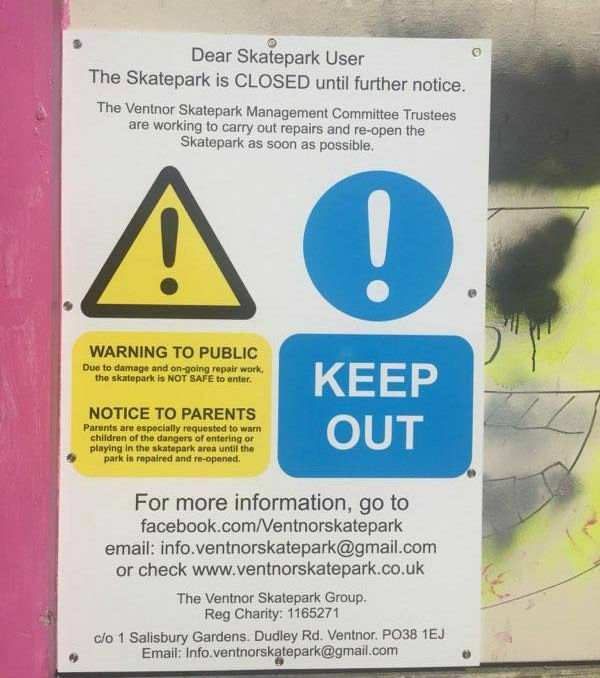 The Ventnor Skatepark Group were hoping that the next big announcement about Ventnor Skatepark would be to reveal which company would be building the new concrete park, unfortunately this update is much less positive news. Despite continued maintenance throughout the summer to ensure the ramps could stay in use, the works team found that there were several areas that needed fixing and a decision has been made to close the ramps for safety reasons. Team members attended the ramps yesterday (Thursday) to find that, in addition to the general repair issues, there’d been significant vandalism. 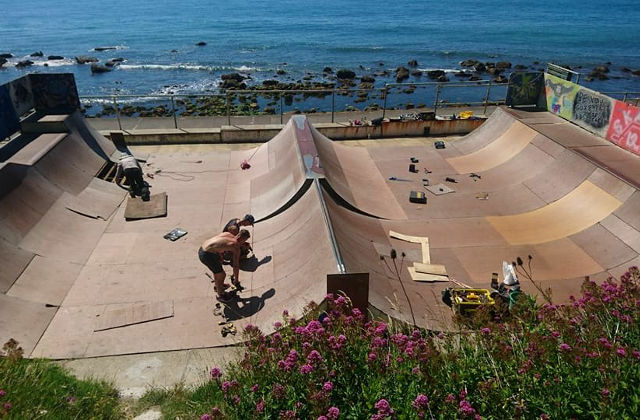 Anyone who has been following the Ventnor Skatepark Project will know that it really has been a labour of love for well over 15 years. 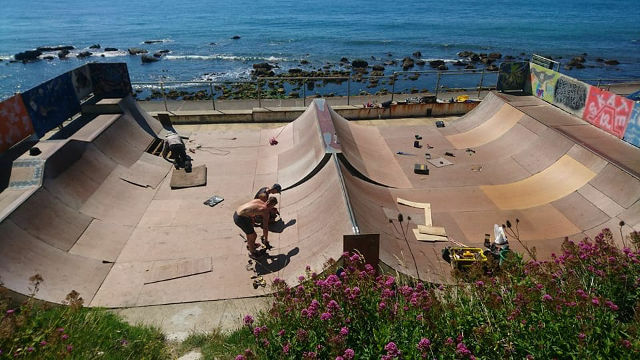 Originally set up by a group of Mums who wanted somewhere for their kids to skate, the Ventnor Skatepark group have spent year on year, fundraising and maintaining the ramps down at eastern end of the Ventnor Esplanade. In 2015, it was decided that in order to ensure their remained a facility into the long term, the ramps would need to be replaced. In doing so the committee voted that a concrete skatepark, in line with those being built on the mainland made sense. 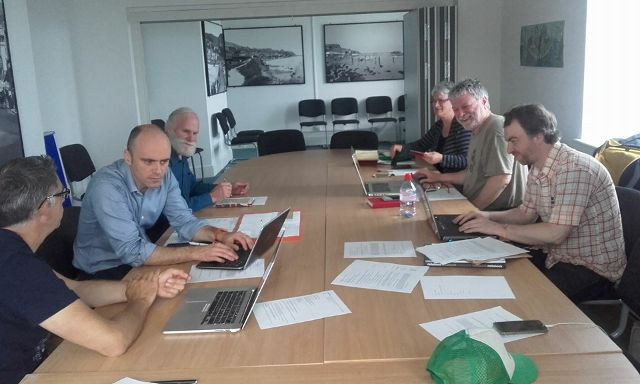 Since this time, the group have gained charitable status, been granted pre-planning approval for a new park, fundraised and issued tenders for the park build. “There has been a lot of work going on behind the scenes. Unlike most other skateparks, Ventnor is solely managed by volunteers with no IW Council grants or significant financial contributions. Usually things like tenders would be drawn up by the local authorities. “This puts us in a really difficult position. Within the next few weeks we are at the really exciting point of being able to confirm our partners for the build of the concrete park and begin finalising the designs. “Having the existing ramps in use puts us in a much stronger position for gaining funding for the project. However it is unfair for the money raised by the community to have to be spent on mending damage caused by vandalism. At a recent skatepark meeting it was discussed how very little attention is given to the fact that the ramps get repaired as and when it is needed. “Many hours are put into keeping the ramps up together. Our volunteers all live outside of Ventnor and will travel through to do a fix up, giving up their Saturday and Sunday mornings. “Not only do we want the ramps to be in use but we have a responsibility to ensure they are safe. Closing the ramps is only ever a last resort. It was very worrying that when the works teamed turned up yesterday, despite signage, and obvious vandalism, they had to ask parents not to let their children onto them! Despite this set back, the committee will continue to work on getting the ramps back open. 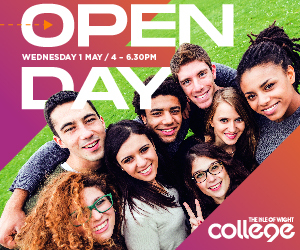 “We are looking at all the options, and have had a good response from people wanting to help. this is very much needed, and there is always space for people who have the skills and tools to help out. “The big thing will be financing the repairs, we are hoping this will be achievable before we launch the main fundraising campaign for the next phase of the concrete park. For more information email info.ventnorskatepark@gmail.com or call Zoe on 07598 133 214. John Cattle will be down at the area on Sunday (27th August) between 12-2pm if anyone would like to speak directly about the future use of that space. 2 Comments on "Vandalism closes Ventnor Skatepark ramps: But good news on the horizon"
I expect the people who use the park know who’s responsible for the damage as every town has its small group of trouble. It would be nice if the local council are given the names of the perpetrators before any investment in a more expensive park gets vandalised. very good luck with the new park Ventnor. I am a freelance fundraiser – I will drop you a line on the above email address to see if there might be any grants or other funding available that you could apply for to get your skate park up and running again.